Accessorize your life with Star Wars! 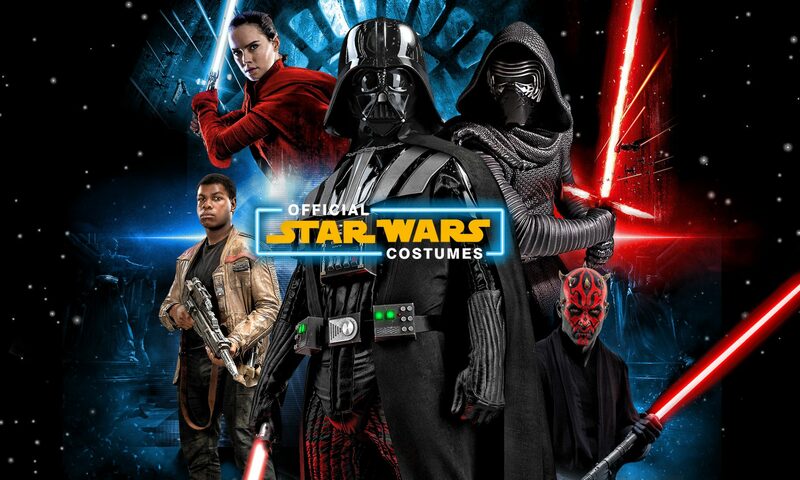 While Official Star Wars Costumes has a lot of great costumes available, we also have a lot of accessories. Masks, weapons, gloves, wigs, and, yes, even Anakin Skywalker’s necklace! We’re here today to let you know the many ways that our accessories can help you in your day-to-day lives. What would you use a lightsaber for? Has a tornado knocked out your power Don’t worry, lightsabers use internal superconductors, which means they can stay lit forever as long as they don’t cut anything. Use them to keep the area bright while you wait out the storm. Careful handling of a lightsaber allows you to use them in a variety of handy ways. Try shaving if you’re out of razor blades, or slicing meats if you have no clean knives. Even better, slice bread to make instant toast! Get a chic new haircut, or save time mowing the lawn! You can be a Sith Lord, a Jedi, or any other character from the Star Wars universe with any of our cool masks, but there are even more uses than that! Need to deliver a dynamite presentation this week at work? Show up as the Sith Lord Darth Vader – studies have shown that dark clothing and an imposing voice help improve confidence. Intimidate your sporting opponents as a Tusken raider or a Stormtrooper, and, if your team loses, you can sneak out without anyone knowing you rooted for the wrong side. Some of the masks we have can make yard work fun and safe. Protect yourself from wood chips or rocks that might get kicked up while mowing the lawn or chopping wood! If the weather is bad, use our masks to save your sensitive face from the harsh elements! Whether it’s a snowstorm and you’re forced to wear a Darth Maul or Clone Trooper mask, or the hot sun is beating down on you and you need to wear a Yoda or an Obi-Wan Kenobi mask, you’ll find what you need. The diverse styles of Star Wars gloves will help you in a number of situations: Darth Vader’s black gloves will make stylish driving gloves, the Emperor Palpatine Gloves can make cool horror hands for a Halloween display, and if terrorists need a pair of green scaly three-fingered hands or they’ll blow up the moon, the Yoda hands would work perfectly. These are just some of the many uses for these Star Wars Accessories! Did we leave our your favorite accessory? Don’t worry, we have many others such as blasters & jet packs! Find your use with some of the great costume ideas we offer with our Official Star Wars Accessories!